Vision & Hearing Advocates for Student Success !!! School Sight & Sound Inc. offers a comprehensive vision and hearing screening program in accordance to IL Rules and Regulations of the Child Vision and Hearing Test Act. Follow-up/Referral Work : Involving written and/or verbal communications with parents/guardians to share screening results and recommendations of Illinois Department of Public Health for further examination. Vision: Preschool, 2nd grade, and 8th grade students, students who attend special education classes or are new to the school district, plus Kindergarteners without a current vision exam on file. 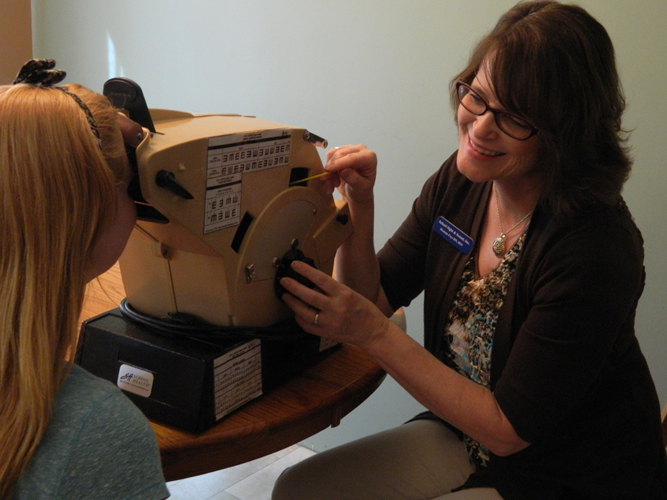 Students who are referred by teachers or parents may also be screened for vision and/or hearing. Maintain your school’s compliance by scheduling screening services with School Sight & Sound, Inc. today!